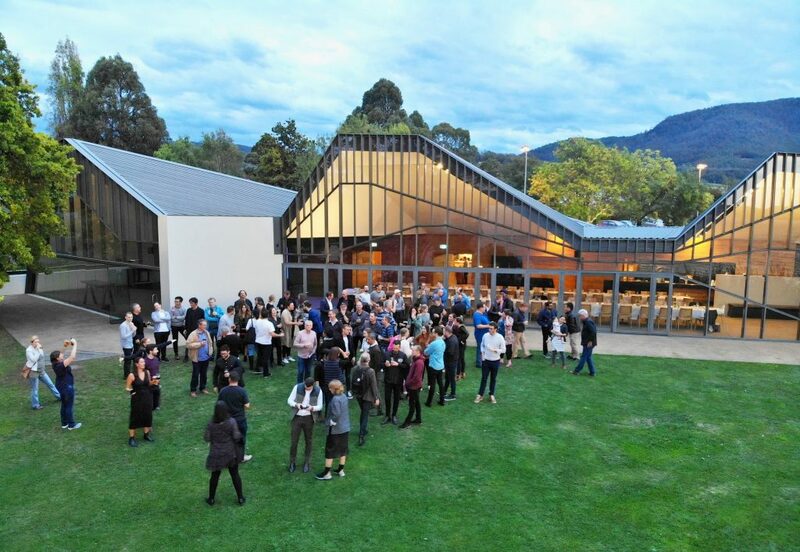 Conrad Gargett, a multi-disciplinary design practice with five Australian studios, recently brought their company together to experience an architecture tour to Tasmania. Motivated by the Directors’ desire to enrich their company’s creativity, comradeship and culture, team members from the Brisbane, Townsville, Newcastle, Sydney and Melbourne studios converged in Hobart and were guided as tourists to places of architectural significance – Peppermint Bay Hotel, Salamanca Market, The Henry Jones Art Hotel, Brooke Street Pier, MONA, GASP, Mount Wellington, Cascade Female Factory, Cascade Brewery, Dorney House and the Tasmanian Museum and Art Gallery. Some spare time was allocated to be free independent travellers as well. Conrad Gargett was hospitably received by esteemed industry professionals who delivered architectural insights on Tasmania. The University of Tasmania’s Adjunct Professor Robert Morris-Nunn AM (one of Tasmania’s most adventurous and respected Architects), Architect Scott Balmforth (Director of Tasmanian architectural practice, TERROIR) and Dr Helen Norrie (Lecturer in Architecture and Design at the University of Tasmania) were gracious with their Hobart hospitality and delivered comprehensive knowledge and stories of the places that were visited on the tour, as well as Tasmania in general. The tour commenced with teams presenting their concepts for a new conference and cultural centre, as part of a company design competition. “This was an ideal start to the program and provided a great topic for debate over dinner that evening,” Toaldo said.